Playing the Call of Duty: Infinite Warfare and Modern Warfare Remastered campaigns back to back has been an interesting experience because the core game design hasn’t changed much, but the scale of everything has increased dramatically in the 9-years since COD4: Modern Warfare was originally released. As much as I do honestly enjoy what Call of Duty has become – bigger, louder, more over the top with crazier set pieces than ever – the relative simplicity of the older campaigns has a definite appeal that holds up even to this day. 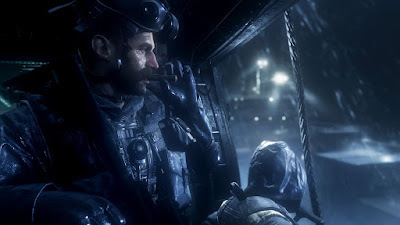 Modern Warfare’s missions are simpler and more straightforward and you actually feel like you’re an important part of the battle rather than just along for the ride. And the original Modern Warfare campaign, even after 9-years, is still probably the best of them all. Continue reading our full Modern Warfare Remastered review for more details. Pros: Best COD campaign; awesome multiplayer; nicely touched up graphics; bots in multiplayer! 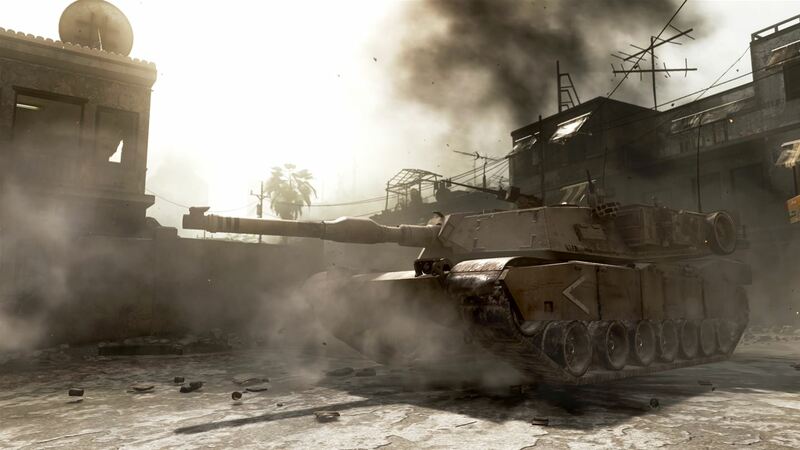 Call of Duty: Modern Warfare Remastered is an HD remaster of Call of Duty 4: Modern Warfare. It is only available if you buy the Call of Duty: Infinite Warfare Legacy Edition and, as of this writing anyway, there are no plans to sell it by itself. On PS4 the physical copies of the Legacy Edition just have a download code for Modern Warfare Remastered, so buyer beware if you buy a used copy of the PS4 version of Infinite Warfare expecting to also get MWR. On Xbox One, the Modern Warfare Remastered install data is on the Infinite Warfare disc itself – though you do still have to actually download almost all of the MWR data from Xbox Live -, so you can buy used with no worries and get both games. 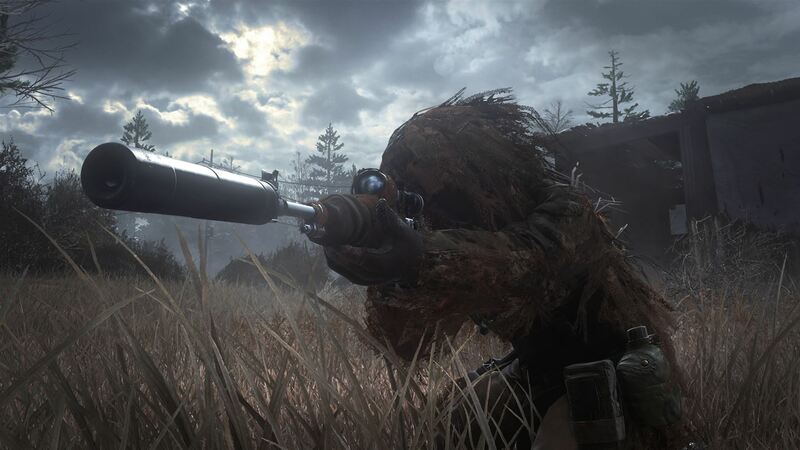 I have held the Modern Warfare campaign as my favorite COD campaign for the last 9-years, so it was nice to play it again and confirm I haven’t just been talking crazy. The core Call of Duty foundation is still there – you basically have to follow an A.I. through the battlefield and do what they tell you – but things were much simpler back in these days. The missions were generally much shorter, your objectives were more straightforward, and the set pieces weren’t quite as crazy (well, I guess getting nuked counts as pretty crazy). The contemporary and realistic setting also meant things were surprisingly relatable and recognizable and easy to digest as far as the story and missions were concerned. Modern Call of Duty games have so much going on all around you at all times and the missions are so long that they’re just overwhelming. Modern Warfare Remastered is a little more methodical, which I appreciate. The gameplay in MWR is as good as ever with heavy auto targeting and snap to targets, but that ease of the gunplay makes it fast paced and fun. The mission variety is also a high point with massive ground battles, turret sequences, providing air support for ground forces from a stationary gun on an airplane, and even remarkably well done stealth missions. It isn’t as flashy as COD has become over the last few years, but it still holds up incredibly well. My favorite missions in any COD (and maybe even any FPS ever) are the assassination mission where you fight through the abandoned city of Pripyat near the Chernobyl nuclear disaster site. The first mission, All Ghillied Up, has you sneaking through Russian soldiers to get into a sniping position and the second mission, One Shot, One Kill, has you shooting a target from just under a kilometer away and then evading capture to reach your evac point. The scenery of the abandoned Pripiyat – all disturbingly and realistically detailed and based on the real locations – is incredible and the mission itself is Call of Duty at its absolute finest. When Modern Warfare originally released in 2007 I greatly underestimated how big the multiplayer would get. In my review of the game for About.com I said something like the time to death was too short in multiplayer and Halo 3 (also out that year) was more fun in the long term because, up to that point, Call of Duty multiplayer was sort of a throwaway thing. Boy was I wrong. COD4 instantly surpassed Halo in popularity and the series has never really looked back. That classic industry-changing multiplayer is present in all of its glory here in Modern Warfare Remastered just like you remember it. There is one change here, though, and that is you can play offline with bots, a feature that wasn’t available in the original release. I love having bots and being able to play multiplayer offline, so this is a great addition. The presentation in Modern Warfare Remastered is actually surprisingly good. Activision’s remasters so far – Marvel Ultimate Alliance, Prototype, Deadpool, Transformers Fall of Cybertron – haven’t been stellar so far and have mostly reeked of quick cash-ins with little effort put into them, but Modern Warfare Remastered clearly had a lot of work put into it and looks quite good. Not as good as a game made from the ground up for current-gen hardware, but it really does look miles better than the original release. You’ll still notice some funky and stiff animations and other remnants from 2007 here and there, but overall it looks fantastic. The sound is also very, very good, but music and sound effects have always been a strong point in COD. In the end, Call of Duty: Modern Warfare Remastered is a great remastering of one of the best COD games ever and it has been a joy to play through it again. It is a bit of a shame that it is only available by buying Infinite Warfare, but that game isalso pretty darn good (see my review) so it shouldn’t be a deal breaker. Definitely play it.